The Minnesota Indigenous Business Alliance (MNIBA) is taking a fresh look at ways to spur business and service development within Native communities by reaching back to tribal practices as old as time. To do this, the alliance has teamed with Cooperative Development Services (CDS) in St. Paul to prepare and publish A Guide to Tribal Community Cooperative Development, the first such comprehensive look at using cooperative business tools for U.S. tribes. It draws heavily on Canadian First Nations experiences and by what rural American communities and farmers have achieved through cooperation over the past century. 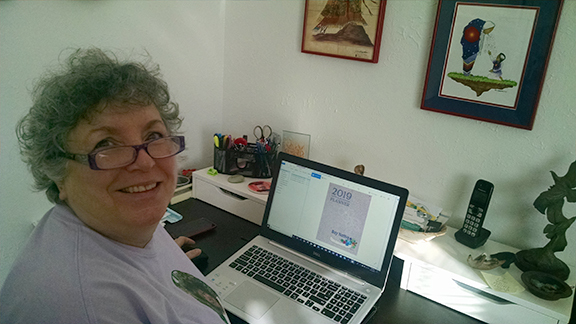 While on line for only about six months, it is going through a revision and expansion at this time for a second publishing in about six months. Tribal communities have credit unions, rural electric and telephone co-ops, and are involved in mutual insurance programs all over America. All are internationally recognized as common, widespread forms of cooperative, member-owned and operated enterprises. Few U.S. tribes, however, have started new cooperatives to aid tribal members in procurement of business supplies or in reaching markets to sell locally-made products. Standing said Native American groups believe there are only about 50 business-directed co-ops and some, like one in her home Cherokee Nation community in Oklahoma, are not currently operating. Kevin Edberg, executive director for CDS and a former Minnesota Department of Agriculture official during the rural, or “farm financial crisis” in the 1980s, said more resources are available today to support cooperative development. USDA’s Rural Development program, for instance, provided a grant to support creation of the MNIBA guide, Edberg said. And tribal colleges are now part of the land-grant federal research and education system and can work more closely with USDA, the Extension Service, and other research and training groups to promote understanding and development. Links to materials at the end of this article will direct readers to sources for nuts and bolts information on how cooperatives might be used for economic development. News from around the globe and nation, however, gives reasons why tribal leaders and engaged Native community members should explore tools that might aid community development. Going forward, international research groups are expecting the global economy to slow down in the coming year. U.S. economists, meanwhile, say the question is when, not will, the national economy hit the skids. Not a recession, necessarily, but a slowdown adjustment is likely given that the current, unprecedented continuous growth cycle started 10 years ago in 2009. The farm, and thus rural economy, is already in retreat with falling farm commodity prices and trade disputes around the globe. Remote and marginalized poorer communities usually get hit hardest during economic down cycles. Going back into ancient history, tribal societies have always practiced some forms of cooperation. This kept water sources and grazing lands accessible and clean for nomadic groups in North Africa and the Middle East, not unlike North American tribal group practices; and European scholars trace cooperative business structures back to traders along the Tigris and Euphrates rivers in Mesopotamia. Pooling resources for the common good has general business and welfare applications as well as agrarian roots in North American. The oldest continuing cooperative business in America, since the U.S. government was formed, is a 1752 mutual fire insurance company in Philadelphia started by Benjamin Franklin. The second oldest is the Associated Press news service started by five New York newspapers in 1846. That shows you don’t have to be a corn, soybeans or milk producer to make co-ops work. Minnesota is the most cooperatively incorporated state, and it also – along with Wyoming – has adopted some of the most usable legal tools to encourage co-op enterprises. In addition to a basic state legal code similar to other states – known as Minnesota Statute 308A – the Legislature passed 308B in 2003 that allows for some outside investors in a co-op and also treats pass-through taxation easier for the co-op and its members. “There aren’t a many users of this (co-op) type yet, but it does offer promise for groups that want to look at nontraditional business structures,” said David Massaglia, assistant professor of accounting at Bemidji State University. His doctoral dissertation in business administration studied two Minnesota examples of the new co-op law – a member-owned brewery and a shared agricultural processing venture jointly owned by an existing co-op and a private firm. Down the road, this new model might serve urban-based development combining Native Americans or their groups in cooperation with nearby communities with shared interests and needs. Standing and Edberg said the MNIBA co-op guide is directed towards tribes and the mostly rural base of Minnesota’s 11 tribal nations. That is directly related to USDA grant support for CDS and rural communities. With MNIBA, however, work, training and research can be incorporated to urban Native community development in the future in line with ongoing MNIBA programs. The group changed its name legally from Minnesota Indian Business Alliance to Minnesota Indigenous Business Alliance this past year responding to members’ wishes to recognize the greater global awareness of indigenous people. MNIBA has launched a “Buy Native” campaign to promote public awareness of Native talents, services and products. To help that objective, it also has a Minnesota Indigenous Directory with more than 150 entrepreneurs, tribal businesses, nonprofits and service groups ranging in categories from Accounting to Web Development and Design. President’s Day is now called Chiefs’ Day. Valentine’s Day becomes Sweethearts Day. Mother’s Day is Love Your Mother Day while July 4 is Fireworks in the Sky Day and Thanksgiving is Fall Feast Day. For information about MNIBA, go to www.mniba.org. A direct link to the Guide to Tribal Community Cooperative Development is at www.mniba.org/programming/cooperative-development.html; and a direct link to the business directory is at https://mniba.org/programming/business-directory.html. The link to CDS is at www.cdsus.coop/home; and a good synopsis of Minnesota co-op business statutes can be found at www.uwcc.wisc.edu/info/legal/mnsummary.pdf.